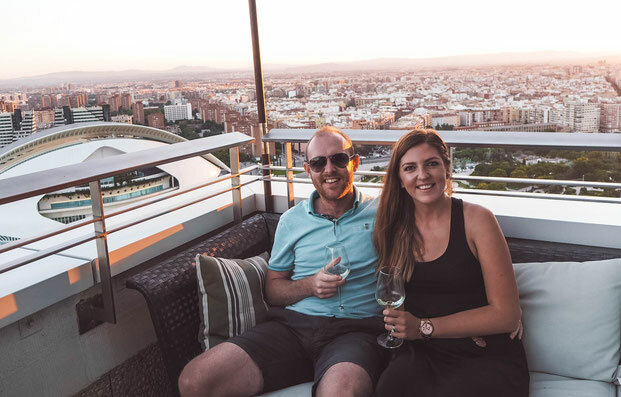 With uninterrupted views of the Valencian skyline, we watched the sun set on what had been the most perfect of days. 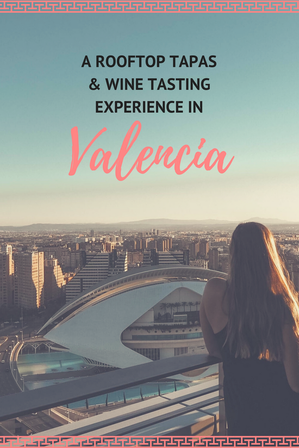 With a glass of wine in hand, we saw the sky change from a hazy orange to a dusty pink, before it disappeared completely and Valencia came to life as a sea of twinkling lights. 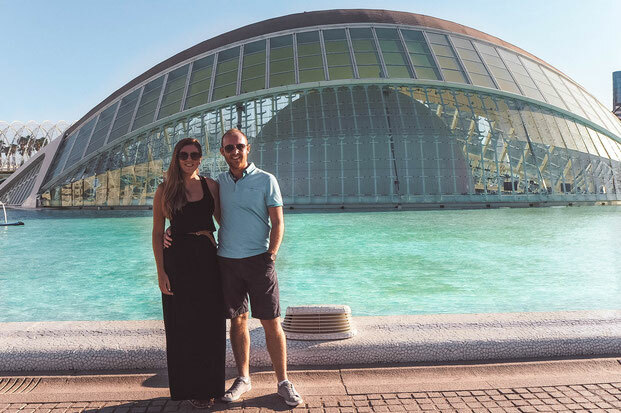 We had spent a magical evening with Sea Saffron, visiting The City of Arts & Sciences, a truly remarkable space in Valencia. 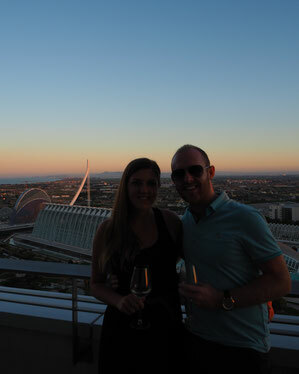 This was followed by a 10 course tasting menu with wine on a rooftop terrace, looking over the city from above. 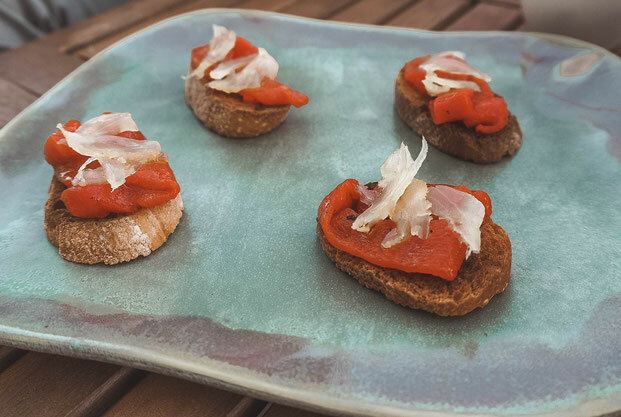 This wasn't your typical tapas tour experience; this felt infinitely more intimate and personal. 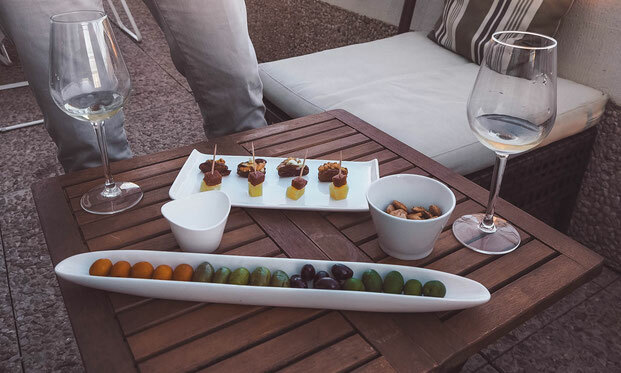 It was an evening of gourmet tapas enjoyed in the most spectacular of settings; a must do food tour for any foodie visiting Valencia. Sea Saffron are a relatively new food tour company in Valencia who specialise in showcasing the very best of Valencia gastronomy, and they do it in the unique setting of The City of Arts & Sciences. They combine a beautiful setting, a touch of culture and spades of delicious, local food. Our guide was the lovely Eduardo, who is fiercely passionate about all things Valencian; but in particular, the food and wine from this region, his region. 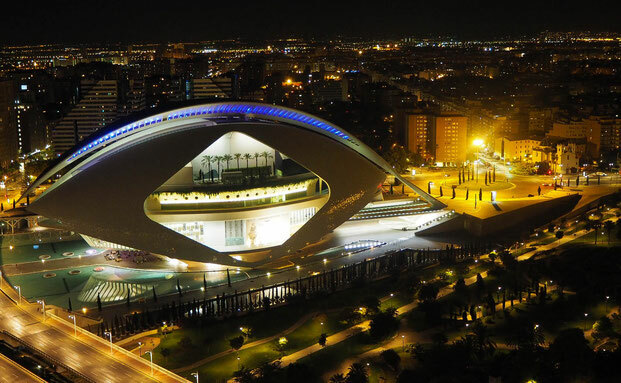 We were picked up from our accommodation in Valencia and taken to The City of Arts and Sciences for a guided tour of the complex. 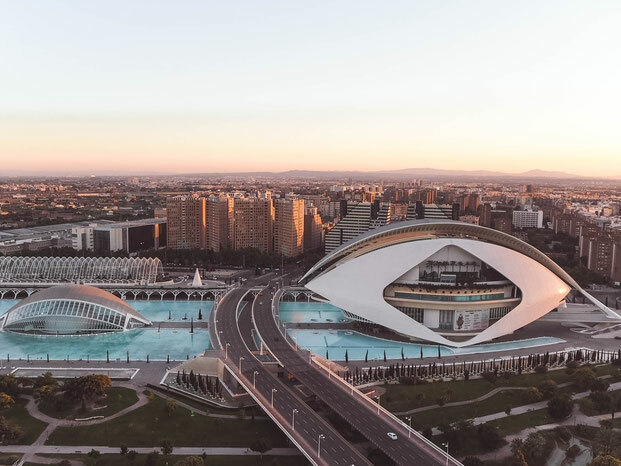 Eduardo explained that The City of Arts & Sciences was created to rejuvenate this area of Valencia. Known as the "Bilbao effect", the idea was to invest money into a not-so-great area of the city to rejuvenate it. What was once a dried up riverbed on the outskirts of the city, has been given a new breath of life. The resurgence of The City of Arts & Science is a fascinating story, and looking at it today, it's hard to imagine what it once was. 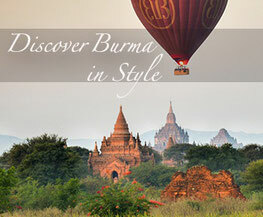 It is now brimming with tourists and families on days out, the glossy buildings house museums, exhibitions and even an opera house. Eduardo explained the ideas behind the architecture; designed by Santiago Calatrava. Everything was built as a half, so that the reflection of each building on the water created the full picture. And when the sun is just right, and the water is still. You can see the finished designs; half physical, half reflection. Completely incredible. 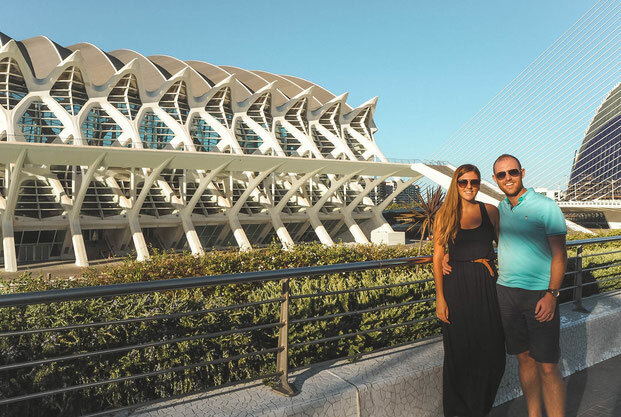 The City of Arts &Sciences is a beautiful area of Valencia to wander around; and so unlike anything we've seen before. Having a local explain the history and idea behind each building gave us an appreciation for what we were seeing. After the tour, it was time to eat and enjoy the view from above. 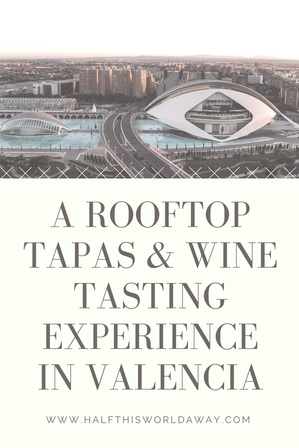 For our tapas and wine experience, we were taken to a rooftop terrace with panoramic views of the city. The menu was a 10 course tapas tasting menu using local, Valencian produce and Eduardo provided us with glasses of matching wine. The tapas we tried were delicious, some things we had tasted before and others we hadn't; there were also traditional tapa dishes done with a modern twist. 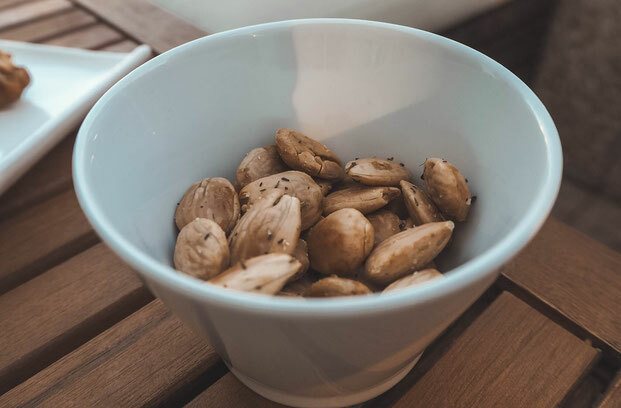 As Sea Saffron use local produce, the menu will change dependent on what is in season which means you know your always getting the best and freshest produce. We spent the evening eating and drinking, and talking to a local from Valencia about the best things about the city. We received some invaluable tips on where to go, what to do and where to find the best paella in Valencia! 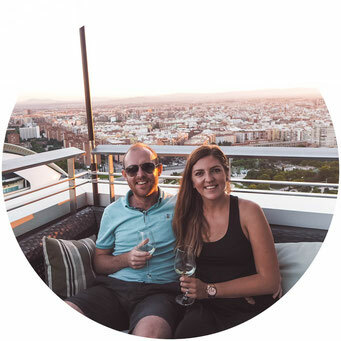 We had such a lovely time with Sea Saffron; this was an intimate, personal tour which focused on the incredible gastronomy from Valencia and with views like that, how could we not love it?! 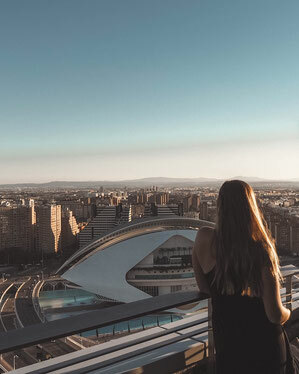 If you want your own Sea Saffron experience the next time you are in Valencia then you can check prices and availability here. Half This World Away was a guest of Sea Saffron, however, all opinions are our own.